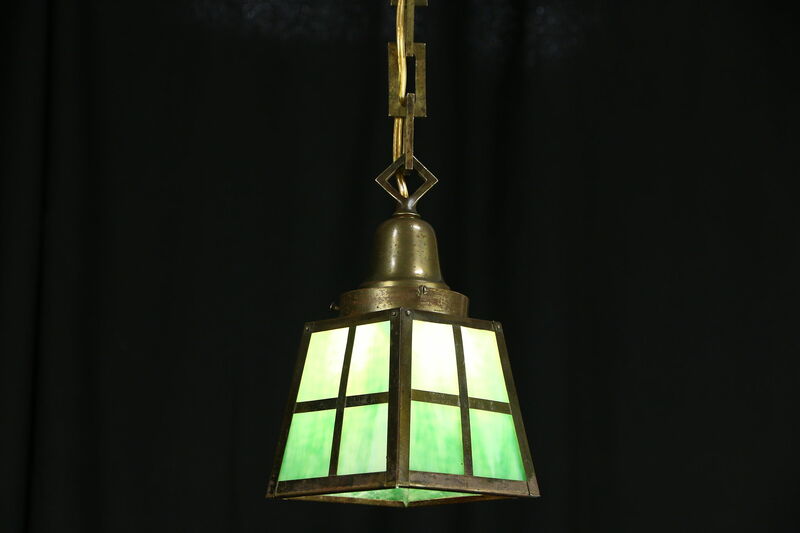 A solid brass hall light fixture has a stained glass shade, and dates from about 1905 during the Arts and Crafts or Mission period. The standard base socket has been rewired on this American made antique Craftsman lantern. The original cap has been fitted with a standard modern strap to attach to an electrical box. Nicely patinated, the brass mounts are all original. The fixture itself is 5" square and 10" tall, overall height including the original chain is 28" and can be shortened if desired.